It never surprises me to see nut jobs out their ruining anything with risk. This is the latest attack on the ATV industry by the wacko’s who never did anything risky and probably got their asses kicked in dodge ball as a kid. This is quoted from the American Motorcycle Associations website. The U.S. Consumer Product Safety Commission asked the public to comment on ATV safety following its ATV Safety Summit held Oct. 11-12 in Bethesda, Md., and opponents of ATVs responded in force. 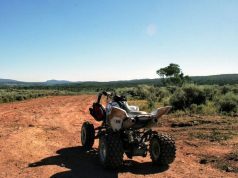 Most of the more than 40 comments received by the federal agency were from people and organizations demanding that children be banned from operating ATVs and drastic measures be taken to make ATVs safer. 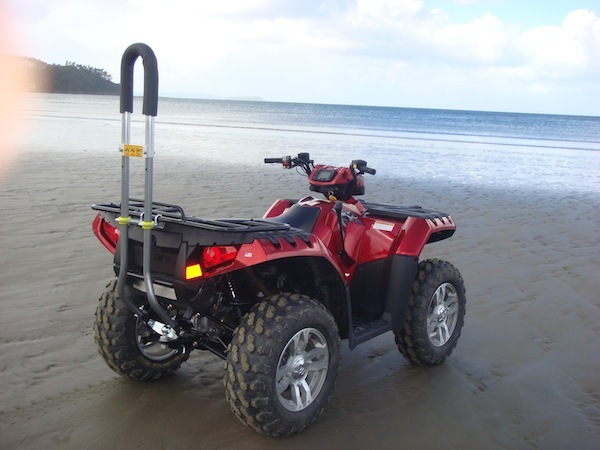 They want mandatory roll cages, speed limiters, inter-lock systems so that an ATV can’t be started if a person had consumed alcohol and a ban on aftermarket accessories such as rear rack bags. They also want ATVs to have smaller seats. “We reaffirm our longstanding recommendation that no child under the age of 16 should operate or ride an ATV,” said a letter signed by 18 doctors and others, including the Consumer Federation of America, Concerned Families for ATV Safety, and ATV Throttle Guard. They also want “installation of alcohol ignition interlocks, and identifying safe speed limits for adult and youth ATVs” that would be set at the factory. In separate comments, the Consumer Federation of America said it wants the federal agency to ban ATVs sized for children under the age of 12, and wants short seats on ATVs. “All ATVs should be equipped with seat belts and standards should create a minimum standard for seat belt integrity,” the Consumer Federation of America added. “ATVs should be equipped with a roll cage to prevent the driver from being crushed by the weight of the vehicle in the event of a rollover,” the federation said. You can read the comments at http://www.regulations.gov/#!docketDetail;D=CPSC-2012-0048. Previous articleIs Bankruptcy The End of American Suzuki?